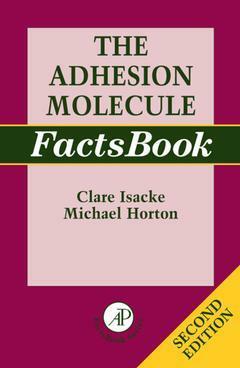 This updated and expanded Second Edition of The Adhesion Molecule FactsBook has nearly double the number of entries of the First Edition, and provides a compendium of the major cell surface adhesion molecules. The introductory chapters detail the organization of the data in the entries section, provide a background to the main adhesion molecule families, and inform the reader how to access information on adhesion molecules on the Internet. The entries have been designed to allow the reader to quickly establish the main structure and functional features of each molecule and where to find information. Researchers and research clinicians in immunology, cell biology, molecular and developmental biology and biochemistry.